Friends of Fire Mountain (FOFM) has been around since 2008 hosting the annual end-of-summer BBQ and Holly Jolly on Molly block parties. Now that we’ve gotten to know a few of our neighbors we look forward to adding some new information and activities to the mix. We’ve been updating the FOFM blog with information and local events (check the side bar and feel free to submit new events via email) . Now we’re expanding with the FOFM Networking Group, plus an informative network on Nextdoor.com and we’re working toward more events for our community to be announced in the coming year. To do this, we need your input and help! First, please tell us about your concerns and interests within Fire Mountain. If you are a Fire Mountain resident, please take a minute to answer this questionnaire so we can work collectively to improve our neighborhood. Then help out – we need volunteers and participants! FOFM is looking for a representative in each area to keep us informed of new projects, interesting stories, updates on crime and anything else you can contribute. If you can help on any of these items, please contact us via email at Friendsoffiremountain@gmail.com. If you can volunteer any of your time or resources, no matter how much or how little, we would love to have your involvement! Please feel free to comment on the blog and send information that you would like to see explored further or posted to the web site – your insight is valuable! We appreciate your input and look forward to meeting you! Categories: Local Info | Permalink. 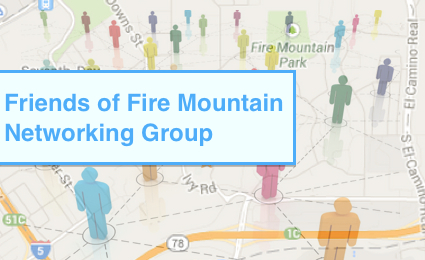 The Friends of Fire Mountain are pleased to announce a new monthly business networking opportunity, the Friends of Fire Mountain Networking Group. The FOFM Networking Group is an interactive group of business-minded Fire Mountain residents that will be holding regular get-togethers to network and share business experiences and knowledge. This group is open to all Fire Mountain residents and there is no cost to participate. Please join us at our first monthly meeting: Tuesday, November 5th at 7:00 p.m. at Café Rosarita – 1816 Oceanside Blvd. Oceanside, CA 92054. Our goal and commitment is to provide an opportunity for the many business owners here in Fire Mountain to join together and become visible to each other and to our community. By learning about each business we hope to create a networking venue where we feel comfortable in referring each other and sharing leads. By getting to know our neighbors and the businesses in our own community, we will make every effort to support and encourage local business growth and make our community an even more wonderful and connected place to live! Categories: Events, Local Info | Permalink. The Oceanside Museum of Art is trying to fund a community art classroom for both kids and adults. There are a lot of different levels of support and you actually get something – from a “Heartfelt Thank You” to a Private Art Party. Categories: Uncategorized | Tags: Art Education, Kickstarter, Oceanside Museum of Art, Studio O | Permalink. With the group of residents on Laurel Rd. in Fire Mountain continuing to address the speeding and traffic concerns that tend to plague Fire Mountain, we’ve been following a few of the latest in business developments that will impact our local roads and surrounding freeways. You may have noticed the recent demolition happening on the corner of Vista Way and Jefferson. The property is owned by Nissan Corporation and while waiting to be sold the location has been home to a few temporary businesses such as the Home Depot nursery, a Halloween store, a Christmas store, and a Christmas tree lot. Recently we learned the demolition is part of a contingency on the sale of the property to Scripps Health. The City of Oceanside has had held developer meetings with Scripps regarding the building of a clinic and physicians offices on the site. The public has not been notified of the status and only residents within 300 ft. of the property will receive a notice once permits are filed and the yellow notification signs go up. The zoning in that area allows a building height of up to 50 ft. or approximately 4 stories. The city planner on the project did not have a response to questions regarding concerns about how increased traffic or building height will be addressed. Categories: Local Info, Uncategorized | Tags: Carlsbad, New Construction, Oceanside Development, Scripps, Traffic, Vista Way, Westfield | Permalink. 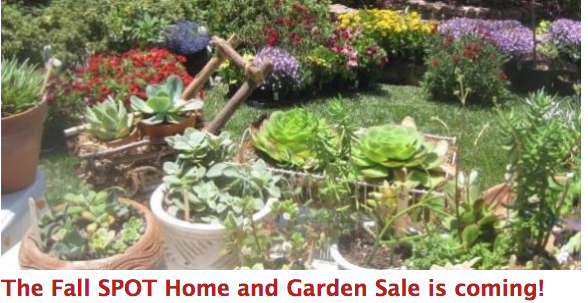 The SPOT Home and Garden Sale plus a Ton of Local Weekend Events! Friday October 4th, 7am Through Sunday October 6th 3pm: The Home and Garden sale benefitting SPOT is always a sure thing if you want to pick up some really great plants, especially gorgeous succulents. I picked up a pepper plant a couple years back and it’s still going crazy in my garden! The sale starts tomorrow, follow this link for more information. October 5th, 9am: The Surfrider foundation is holding a beach clean up starting at the Oceanside Pier. Everyone is welcome to help! October 5th at 10am: Always fun for the pets and great people/pet watching is the The Mission San Luis Rey annual St. Francis Festival and Blessing of the Animals. Animal adoption organizations are on site and hey! animals need blessings too! October 5th 12pm: The Carlsbad Rotary Oktoberfest is a family style event and will have both domestic and craft beers from the likes of Stone Brewing on hand. Check the web site for details. 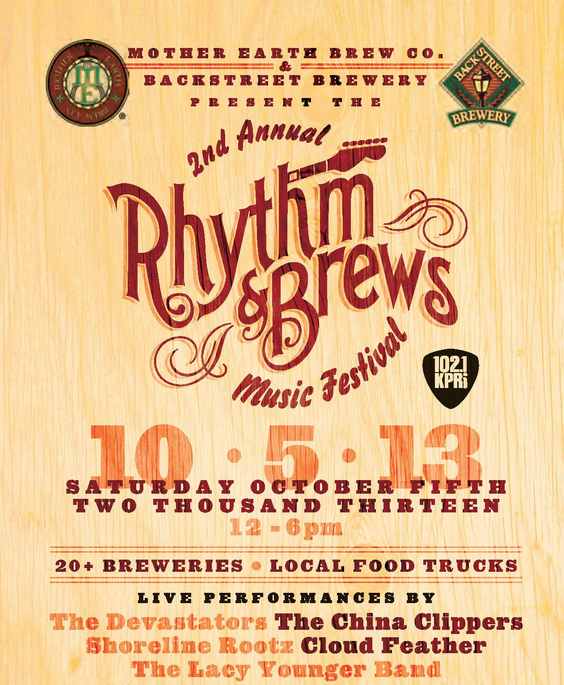 October 5th 12pm: The Vista Rhythm & Brews Music Festival presented by Mother Earth Brewing and Back Street Brewery kicks off it’s second year. Tickets are $30 and you can get them right here. Octover 5th, 4 pm: The 3 mile Walk to end Alzheimers starts at 4:00 pm at the Oceanside Pier. If you can’t make it to the walk, support Fire Mountain locals the Swifts reach their goal! October is Kids Free Museum Month! There is a long list of museums and attractions all over San Diego county including the Oceanside Museum of Art, The California Surf Museum, the Encinitas Lux Art Institute, The Museum of Making Music in Carlsbad, The Birch Aquarium, the SD Model Railroad Museum and many more with free admission for kids the entire month of October. —UPDATE: Even more FREE attractions can be found here, including Legoland, Sea World and more! Weekends in October: Legoland Brick or Treat has fireworks and a “Brick or Treat” trail for the kids. Definitely a good way to get your money’s worth out of that costume! With a high temperature of around 87° should be nice weather for any of these events, so go on, get out and do something! Categories: Events, Local Info, Uncategorized | Tags: Carlsbad, events, family, oceanside, October Weekend, Oktoberfest, Vista | Permalink.